What is the purpose of the Kirby Cycle Stand? The Kirby Cycle Stand is the most commonly seen cycle stand in cycle shelters. 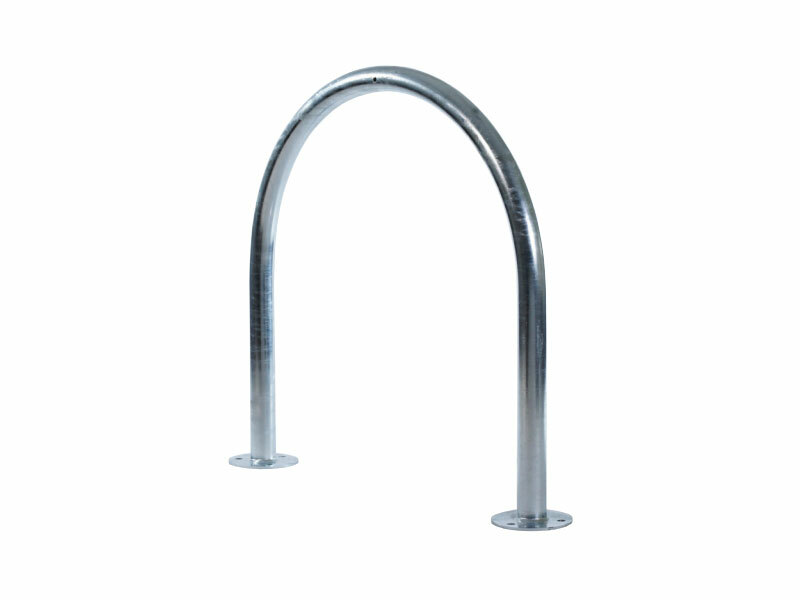 Its clean lines and sturdy construction reassure cyclists that their cycles will be safely locked onto the Kirby Stand. The Kirby is also a variation of the Sheffield Stand for cycles. It is available for bolting to concrete and then to the ground or just for bolting to the ground. The bolts are sold separately in a six-pace (below). Each Kirby Stand holds two cycles, one on each side. The cyclist can lock the front wheel to the stand with either a D-lock or a chain and lock. You have a choice of either a mild steel version or a stainless steel one. 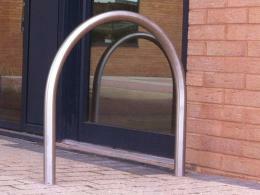 You can also get this bike rack in RAL colours (ask us for details). Install the stands about 800mm apart and 450mm from impediments. 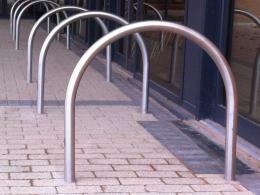 They’ll look wonderful in all of the cycle shelters we offer. Use the Kirby Cycle Stands in the following shelters we offer: Cambourne, Harbledown, Stratford, Bentham, Bowland, and Sanford. 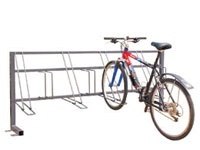 This method of bike storage is both simple and cost effective for providing outdoor locations with a bike stand that is easily accessible to cyclists. Any cyclist who wants a place to safely stow a cycle is happy to find the Kirby Cycle Stand with standing alone or in a cycle shelter.